I've been working on these mushrooms for about 3 days trying out different paint techniques and today I finally got the look I wanted. And they look awesome all in a cluster.. I'm so pleased! I constructed them from tin foil covered in masking tape then I added newspaper strips dipped in glue and water. I dried them in the oven for 20 minutes at 275 degrees. black. They were finished off with a glossy glaze. 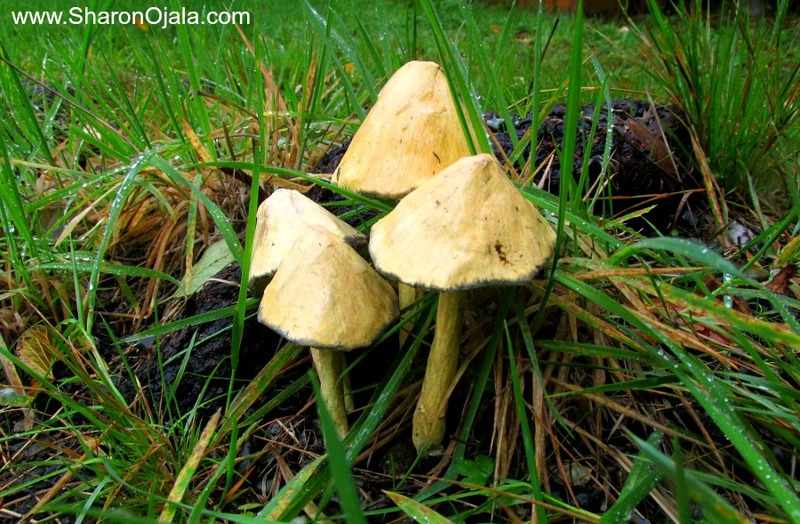 UPDATE: I now have a video tutorial on the smaller mushrooms right here. I took some outside, it's rainy and wet today so they fit right into their surroundings! 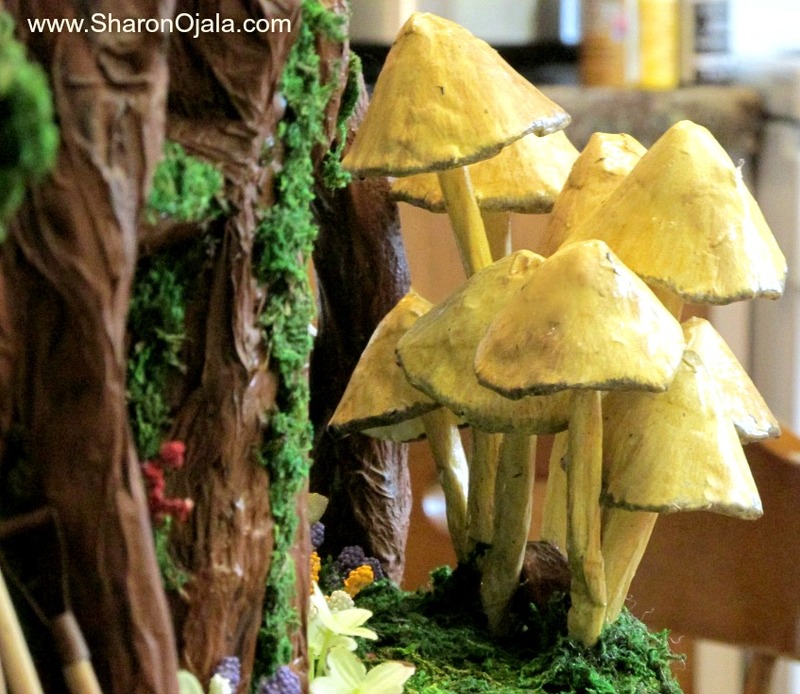 I also made some bigger mushrooms but those need to be painted then I will do a video update on the Gnome house. If you haven't been following the Gnome dollhouse progress you can catch up on youtube right here. Hi Sharon, its good to read your posts again after such a long while :). Great job with the mushroom and gnome. I love, love, love all your ideas!